Using a credit card is easy. But choosing one isn’t always simple. Do you pay your credit card bills in full and on time each month? If not, do you spread out repayment over a fairly long period of time? Do you shop primarily at one store, or at many locations? 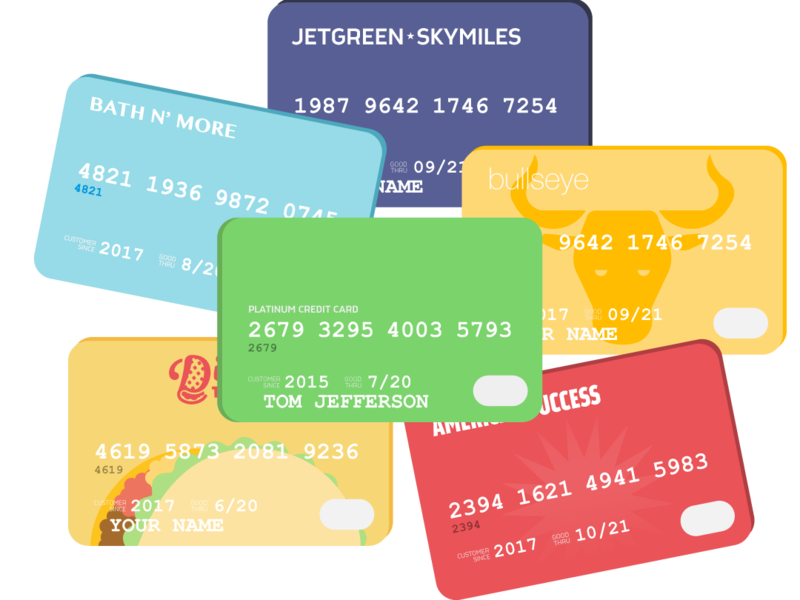 The answers can help you choose a card that will help you use credit at the lowest cost. Not all credit cards are the same. With traditional credit cards, such as MasterCard, Discover, and Visa, you can charge up to a certain dollar amount, called your credit limit or spending limit. It’s generally between $500 and $10,000, depending on your credit history. You have the choice of paying your bill in full each month, or paying what you owe over time. But you have to pay at least the minimum balance each month or you’ll face a late charge, often $25 or more. Charge cards, like the traditional American Express Card or Diners Club card, have no stated credit limit. However, you do have to pay your bill in full each month. If you don’t, you’ll be charged interest, and you may not be allowed to use the card again until you’ve paid your bill. An affinity card is cosponsored by the card issuer, such as a bank or credit union, and another company, such as an airline, car manufacturer, non-profit organization, or website. The card issuer handles the billing, while the cosponsoring company offers perks, like travel points toward airline trips. Affinity cards usually have an annual fee, may have a high annual percentage rate (APR), and you usually have to charge a large amount before you get any benefit from using the card. Many retail stores, from giants like Target to specialty shops, offer charge cards, also called retail credit cards. Generally, these cards don’t have annual fees, but the finance charges on unpaid balances may be higher than on other cards. The biggest problem may be having too many different bills arriving throughout the month. Unless you always pay your balance in full, you should look first at a credit card’s interest rate. The rate you pay is a major factor in determining how much credit costs you. Some credit cards offer low initial interest rates, called teaser rates. These apply for at least six months, but after that significantly higher rates may apply. You have to look at the APR to get a true sense of cost. Some interest rates, known as variable rates, change from time to time, either at the discretion of the card issuer or according to a formula created by the issuer. Fixed rates can change as well, but you’ll be given at least 45 days’ notice when your rates are going to change. However, some rates go down with time, so you should always keep your eyes open for better deals. It may be a good idea to switch cards if you find a lower rate. If you always pay in full, look for a card with a grace period. That’s the amount of time (by law at least 21 days) you have between the date you receive the bill and the date the payment is due. If you’ve paid your previous balance in full and on time, no interest is charged on purchases you’ve made during the billing period. But if a card has no grace period, then you’ll be charged interest from the moment you buy something until you pay your credit card bill, even if you paid your last balance in full. If you’re turned down for a credit card, investigate a secured credit card. Secured cards work the same way as regular credit cards, with one twist: You have to open an interest-bearing account, like a savings or money market account, or CD, with the bank that issues the card. If you don’t make your payments on time, the bank will take the amount you owe out of your account. But if you use the card regularly and pay on time, you may become eligible for a regular credit card. Understanding the lingo gives you an idea of credit card benefits and drawbacks. Annual fee. The flat rate you pay per year to use the card. It’s often between $25 and $50, but some cards don’t charge the fee at all. Others charge much more. Annual percentage rate (APR). The cost of using credit, expressed as a yearly rate. Finance charge. The dollar amount you pay to use credit, determined by the amount you borrow, the term, and the APR. Grace period. The number of days you have to pay your bill without owing a finance charge. Late payment fee. The fee you may be charged if you don’t pay the minimum balance by the due date. Minimum payment. The amount you must pay by the due date. If you don’t due pay at least this amount, you may be charged a late payment fee on your next bill. Over limit fee. The amount you must pay if you charge more than your credit limit and you’ve opted in to being able to charge more than your limit.